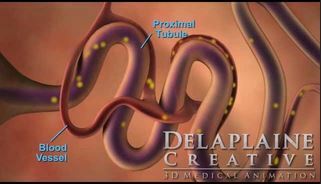 Delaplaine Creative is a boutique Medical Animation Studio dedicated to delivering stunning 3D animation to the medical device, pharmaceutical, biotechnology and healthcare industries. Established 31 years ago, we specialize in providing compellingly creative and scientifically authoritative presentations at an affordable price. 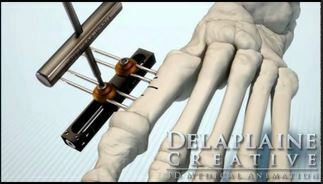 At Delaplaine Creative, we use leading edge tools and visual artistry to interpret what happens inside the human body along with the devices and procedures used to heal it in a way that the audience will comprehend. Our experienced staff of animators and illustrators use a blend of deep medical knowledge and technical fortitude to bring complex concepts to life for industry leaders like Johnson & Johnson, MedTronic and Johns Hopkins Orthopedic & Spine. We believe that every project, no matter the size, is a story waiting to be told. By utilizing the same technology and expertise that premier animation companies use we deliver your exact specification at a fraction of the cost. Your vision will be delivered with precise accuracy and stunning quality making your story understood and remembered. We approach each project with an understanding that creative animation and scientific accuracy are required to explain the most complex concepts and procedures to a target audience. Our clients trust that we will define a strategic solution in order to align their vision, requirements and budget. We leverage an innovative combination of scientific accuracy, concise narrative and powerful visual artistry to create a powerful and memorable experience that will enhance brand awareness and amplify understanding. We are laser focused on delivering a messaging that is impressive and impactful whether your audience is existing customers, potential investors or federal agencies. Give us a call at (415) 927-4466 or send us a message via the contact form and we'll get back to you right away!